Sign up and receive Property Email Alerts of Houses for sale in Le Grand Estate, George. Absolute elegance and comfort in Le Grand Estate, fit for a king! 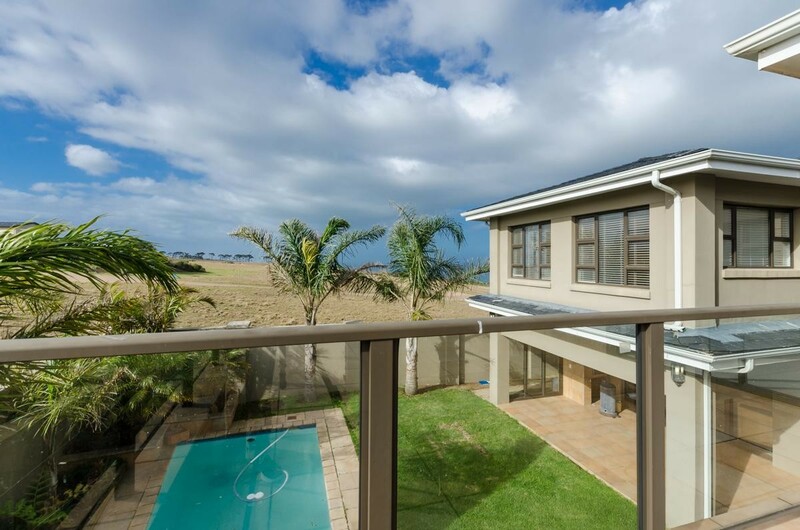 Le Grand Residential Estate is a private upmarket development situated in George, a popular holiday and conference center and the administrative and commercial hub of the Garden Route, with breathtaking 360 views of the majestic Outeniqua Mountain to the north and the Indian Ocean to the South. The estate is just far removed enough for peace of mind yet close enough to town, amenities, schools and airport. This magnificent house is perfect for a high-class B&B and has been operating as such for many years. Offering four bedrooms all en-suite, the bedrooms all have stunning views either of the estate, mountains or the ocean. Three of the bedrooms are very spacious, with their own lounges and/or private offices. This home has a family sized kitchen with solid cherry wood cupboards, granite tops and modern fittings. The kitchen is in the middle of two lounges having a center island and breakfast nook with sea views and large windows. The lounges, dining room and entrance hall all have large windows, special lights and fittings, fireplace and under floor heating are some of the components for optimal warmth and lighting throughout the house. The built in bar in the entertainment lounge is ideal for the avid host, sliding doors open out onto the covered deck with spectacular sea views and joining the sparkling pool and small enclosed garden. This house needs to be seen, in order to experience the magnificence it radiates. Contact me to for an appointment to view. Sign-up and receive Property Email Alerts of Houses for sale in Le Grand Estate, George.